If you are a small or mid-sized business in Dallas, TX looking to optimize your website for better search engine results, iComEx can help. In fact, iComEx has been able to help many of its clients' websites rank on the top pages of the results in major search engines, including Google, Yahoo and Bing. Search engine optimization (SEO) is "the practice of increasing the quantity and quality of the traffic that you earn through the organic results in search engines," according to Rand Fishkin. Search Engine Optimization, or SEO, is the on-going process of improving the volume and quality of traffic to a web site from search engines through "natural" ("organic" or "algorithmic") search results. Typically, the earlier a site appears on a given set of search results pages, for specific keywords and phrases, the more visitors it is likely receive from the search engine. SEO can target different kinds of searches, including image search, local search, directory service, and industry-specific vertical search engines. Search Engine Optimization is a very important, though often overlooked (and sometimes completely misunderstood) tool in your online marketing toolbox. The correct execution of an SEO program is also essential to the long-term, online marketing success of your web site. 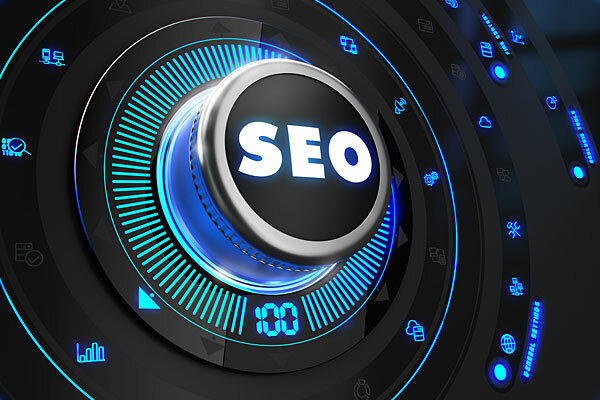 SEO unlike SEM (Search Engine Marketing), is focused on "organic" or "natural" search engine traffic generation, rather than "paid" results from pay-per-click programs offered by major search engines including Google, Yahoo and Bing. Since Google has the lion's share (85%+ according to Statista) of the organic (and paid) search market, iComEx (and most web marketers) focuses on optimizing search results for Google. The other search engine result generally fall in line closely behind. It is important to understand that successful organic search engine results generally take longer to achieve than paid search advertising. Remember, its a process, not an event! There are times when a balanced approach makes the most sense. For example, perhaps you are thinking about building a new website selling collectible coins. Since a successful SEO program takes time to get up to speed, a paid search (a pay-per-click, or PPC program) can offer immediate placement in the search engine results. The relative success of such an endeavor is based upon a number of factors, including your budget for ads, the cost-per-click, ad quality landing page relevancy to the targeted keywords, and the strength of the competition for the same ad space. At iComEx we generally recommend the use of paid search engine marketing only until natural search results being to overtake the paid results, and for very specific targeted promotions. To learn how search engine optimization can help your website to rank better, please call iComEx at 972-712-2100, or ask us to provide a quote.